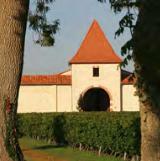 Since 1985 Rémi Lacombe and his family have owned Chateau Tour Saint Vincent in the heart of the Medoc Appellation. They have invested significant sums over the last five years, replanting vines in ideal conditions, and have the developed the vineyards into one of the gems of the Medoc. All of the work has started to pay off as with each vintage the wines continue to improve.